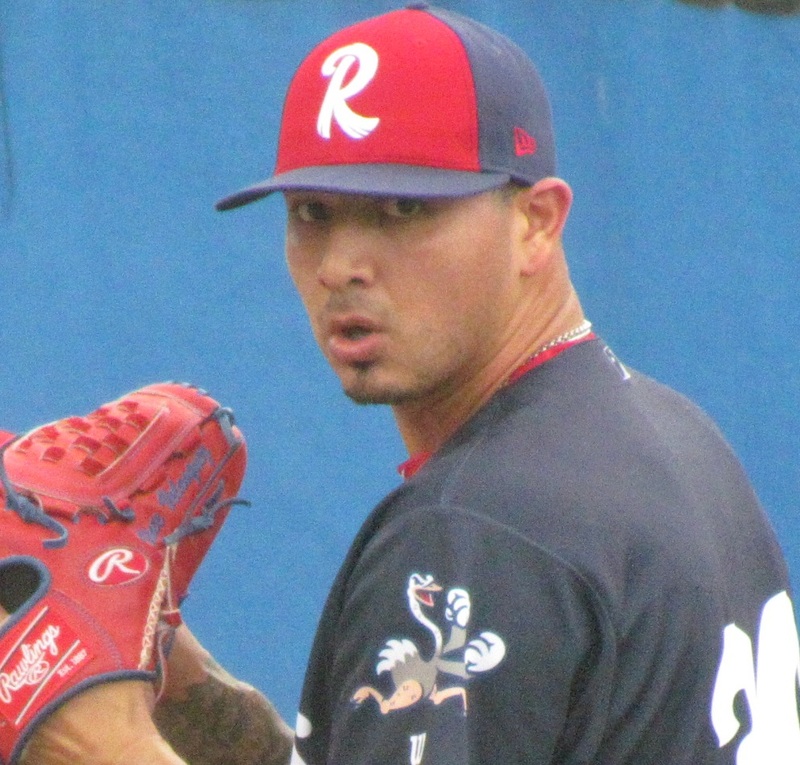 TRENTON, NJ- Phillies starting pitcher Vince Velasquez was pleased with his efforts, despite allowing three runs, two earned, in a loss for Reading against division rival Trenton on Thursday night. The talented hurler cited jitters as a reason for coughing up a pair of runs early on a home run to Thunder clean up hitter Billy Fleming in the opening frame of the contest. On the disabled list since May 31 with an elbow strain, Velasquez surrendered three hits, while striking out four and walking one in his three frames of work. He threw 52 pitches, 33 of them for strikes. While mixing up his four-pitch arsenal, he felt pleased with his command. "I was a lot more consistent today," Velasquez said. "Some of them got away from me, but for the most part everything was in the (strike) zone. I was pounding the zone the whole time. Normally, on a regular basis, I'm missing more than that." Through 10 starts with the Phils this season prior to the injury, Velasquez posted a 2-5 record with a 5.58 ERA. The 25-year-old, who was acquired in 2015 as part of the trade that sent Kenny Giles to Houston, is eager to put the first half of the season behind him and use it as a learning experience. "It's a must. I mean, there's nothing wrong with reflecting back, but you can’t take the past back. You can't bring it back. You can pretty much just learn from it. But, that’s being a student of the game, and you can also learn from your own mistakes as well. So, it was just tough for me. In the first half, I didn’t have that change up. I didn’t have that command with my stuff. And then my curve ball wasn’t as consistent as I wanted it to be,” Velasquez stated. Velasquez has been a topic of discussion in recent days, with reports saying the Phillies may consider moving the six-foot-three 215-pounder to the bullpen. Having heard such chatter, Velasquez is not fazed by the possibility, but certainly has a preference to stay where he is comfortable. "Have I been open to it? Yeah, I have," Velasquez admitted. "But, at this point, it's my decision. My mindset is on starting and going from there. If they decide on putting me as a closer, alright, that's fine. I still have a job to do." The next rehab outing for Velasquez is slated to come next week while the Double-A level, Triple-A level and the Major Leagues enjoy their All-Star break. He'll make that appearance for Class A Advanced Clearwater and should be lined up to throw about 75 pitches in that game. If there are no setbacks, Velasquez anticipates that he will rejoin the Phillies following that next rehab start. The loss for Reading completed the second straight series sweep in Trenton this season. The Fightins have lost all seven contests at ARM & HAMMER Park this season.